Since 1973, VTC has been a specialist in the integration of advanced security system solutions for commercial applications for facilities of all types and sizes. We offer the best of breed systems that are non-proprietary and that have open software platform architecture. This approach to designing security systems assures that the systems can be integrated seamlessly and that these systems are scalable to enable a smooth upgrade path for adding other electronic security devices should this desired. VTC solutions are designed to be robust and long lasting. In addition, VTC systems are designed to meet the strict regulatory guidelines that are required for many high-risk facilities today. VTC is constantly keeping up-to-date with the local, state, and federal security trends and regulations, so that you do not need to. To help commercial, industrial, governmental, educational and medical organizations achieve their personnel safety, physical asset protection, intellectual property security and operations monitoring objectives by designing, installing, maintaining, and servicing integrated security and operations management systems (CCTV, access control and alarm). How Do We Build it Better? Our focus is to provide the optimal “customer first” solutions that provide the best benefits for our clients. 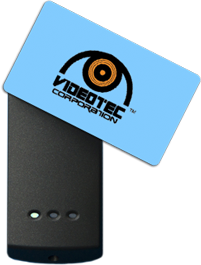 VTC is not a product(s) driven company but a highly skilled solutions provider for advanced security systems. Our projects are created by experienced sales and project managers, working in conjunction with highly trained IBEW field technicians and installers. VTC utilizes the ideal products for each assignment. We maintain competitive prices for components through our membership in PSA (Professional Security Alliance of Denver, Colorado) an international purchasing, training and national account sales management organization.